Monster Hunter: World's second post-launch monster is now out in the wild, and it's an encounter that is unlike any other in the game. Kulve Taroth can be taken down by up to 16 Hunters working together (in an entire server, it's still only four per instance), and the rewards are gilded. Before you can take on the Kulve Taroth siege, you will need to finish the main campaign and reach Hunter Rank 16. After that, you will have to head out into the new world and gather Kulve Taroth's golden scales in optional quests and expeditions to discover the siege itself. Once you've done the prerequisites, head to the Gathering Hub and prepare yourself for battle. You can start the siege with up to four players in your instance. At that point, the siege begins and any other group can also participate. The groups will all share progression of the fight. Search the first area to chase down Kulve Taroth. It's a massive beast with a humongous tail that will often block you or trip you up as you try to approach it. Use the environment and the cannons placed around the area to chip away at the creature's gold armor, and be sure to check the ground for pieces that might fall off of it. Throughout the fight, your group and others have objectives to complete, mainly having to do with breaking off specific pieces of the monster's armored golden body. Just target every area you can and they will eventually fall off. Make sure to target Kulve Taroth's front feet, its chest, and its head. The head will come into play a bit more later, so keep in mind those massive horns that The Handler keeps yelling about. Kulve Taroth will mostly ignore you in this phase. Once you do enough damage and pick up enough tracks and pieces that fall off, the monster will move to a more open area. Here's where you begin to really fight it out and deal damage as Kulve Taroth will become more aggressive. Target the monster's weak points and be ready to dodge its long-range rolling attack as well as its fire breath. Once enough damage is done, it will break through a wall and move to a lava-filled area. Make sure to grab the Chillshrooms at the entrance for a free Cold Drink. At a certain point in the fight, Kulve Taroth's armor will begin to glow, and its entire body will be filled with weakpoints as you can easily break off the objective pieces of its armor. Target the tail, the chest, the arms, the head, everything. Break off as much as you can. When enough damage is done to the shell, all of Kulve Taroth's armor will break off, revealing its true self. 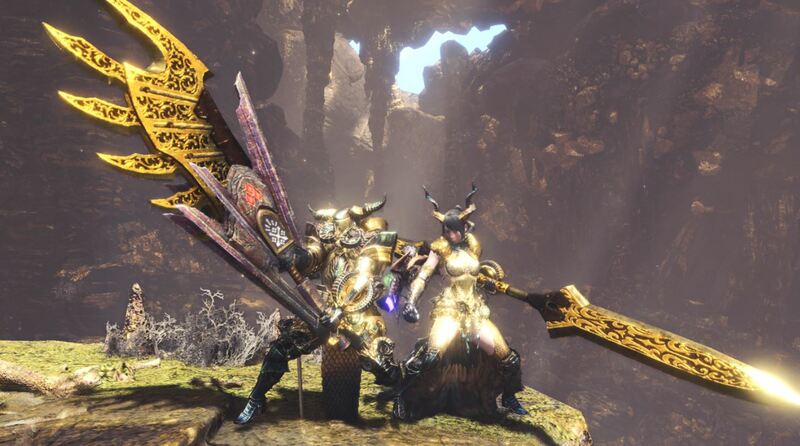 Gone will be the massive golden armor and you will see Kulve Taroth's gorgeous model in all its glory. This is where things really get tricky, though, as Kulve Taroth will move to the final area and begin its final phase. Without all that gold weighing it down, it is much faster, much more aggressive, and much more likely to ruin your night. 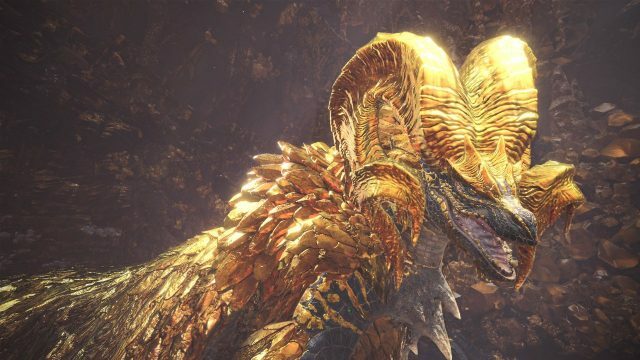 Kulve Taroth will begin doing a massive fire attack, breathing fire in front of itself, and lighting up the room. When this happens, the gold on the ceiling will melt and begin to fall off, dealing big damage if it hits you. Just keep that in mind while fighting. At this point in the fight, the only thing left to target is its head. Keep dealing damage wherever you can, but focus on the horns. If you hurt it enough, it will eventually fall over, allowing you to deal maximum damage to the horns as it lays down on the ground in a weakened state. If you don't do enough damage, Kulve Taroth will leave the area. If you damage the horns enough, they will break. If you faint three times, the siege will end. Either way, the encounter is finished and you will reap the rewards based on how many objectives you and your team completed, denoted by the "Reward Level" on the final screen. Enjoy your weapons and armor, and get ready to launch another siege again.